Newport Shores is a luxurious and unique community located along the southeast shore of Lake Washington in the city of Bellevue, Washington. It is a family oriented community on over 170 acres with more than 340 homes. Over 100 of the homes in the community are located on Lake Washington and canal waterfront. The winding streets within the community are great for biking, rollerblading, and walking; with quick convenient access to the Lake Washington bike trail, Newcastle Park, Mercer Slough and I-405. Shopping is just minutes away in Factoria and downtown Bellevue. Newport Yacht Club is a member’s only facility located within the prestigious Newport Shores community. 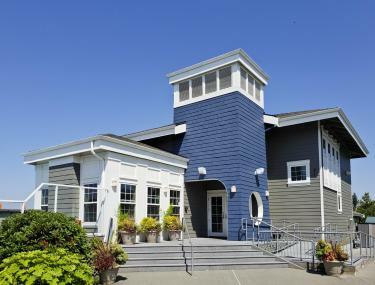 The Clubhouse offers a wide array of activities, socials, and events for members of all ages. A monthly newsletter, Facebook page and website keep the members informed of the activities for the community. The Yacht Club facilities include three regulation size tennis courts, half-court basketball, kids play equipment, sand volleyball court, seasonal heated outdoor pool and a marina. The Club is available for private rentals for both members and non-members. The rental space includes a 1,700 square foot banquet space, 30×30 outdoor deck that overlooks the scenic Lake Washington and a full size catering kitchen.